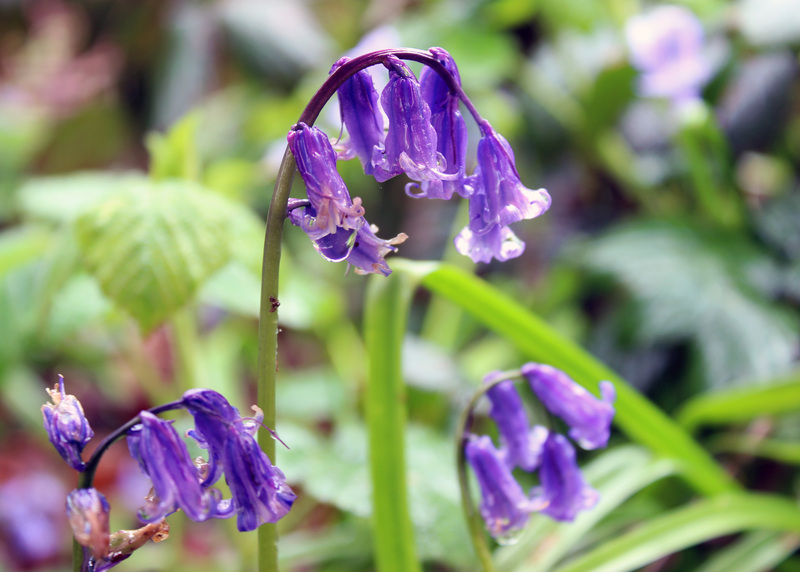 The bluebell’s love of gloomy weather aroused my suspicions of the ongoing rain. Wet, cold days have made this woodland flower last longer, while bees stay hidden inside the hive. Yet another rainy bank holiday confirmed my fears that spring has fallen under enchantment of fairies dancing in bluebell rings. 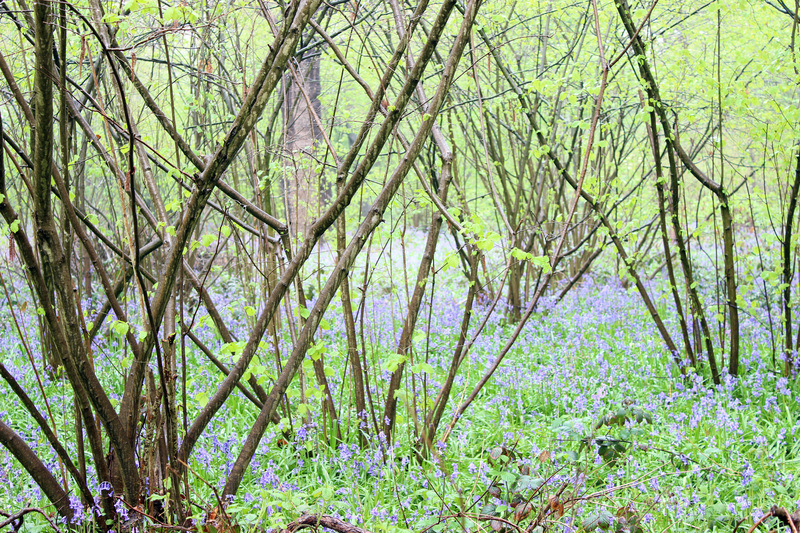 So with little beekeeping doing, I pulled on wellies and trudged through mud to explore London’s ancient bluebell woods. The ancient oak-and-bluebell woodlands of Perivale, Greater London. In spring the bluebells come out to play mischief beneath time-weary oaks. 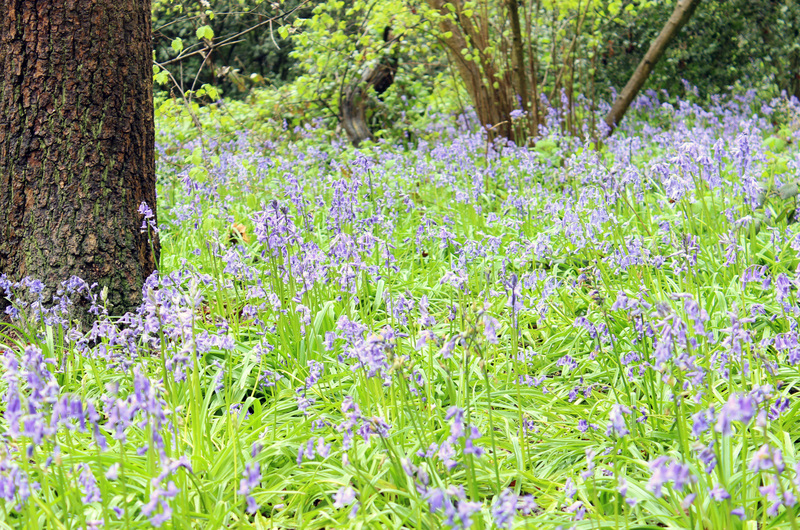 My guided tour of London’s bluebells started on Sunday 29 April at Perivale Wood’s Public Open Day. Perivale Wood is Britain’s second oldest nature reserve and is owned by the Selborne Society, the country’s oldest conservation charity. These ancient oak-and-bluebell woodlands have remained unchanged for centuries and may reveal what plant and insect species lived in Britain almost 9,000 years ago. ‘Bluebells are an indicator of ancient woodlands,’ said Ed, our guide through the muddy meadows and beneath the dark canopy of trees. One of our group had brought a flask of spiced masala tea, so we paused for a while to enjoy a cuppa and listen to the sound of rain falling on leaves. 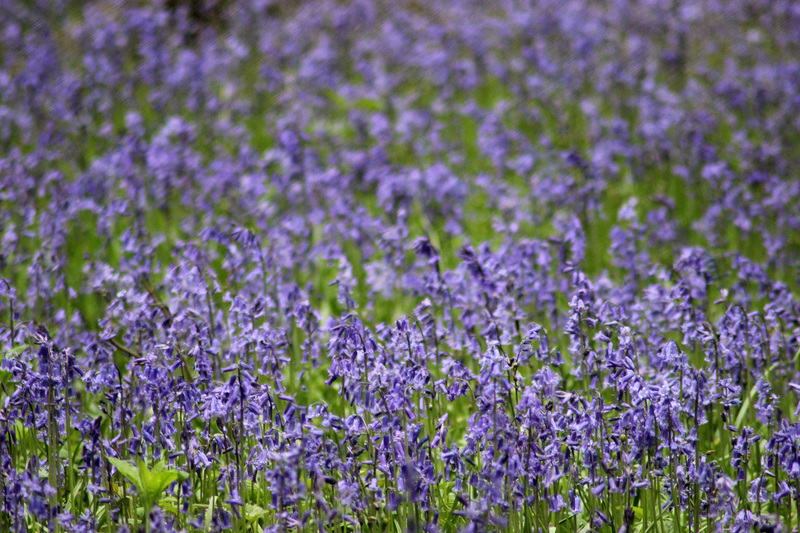 The bluebell is the very spirit of English springtime. Bluebells are at their peak in May and my favourite National Trust park and house was holding guided bluebell walks with one of the park wardens. It was the perfect thing to do on a showery bank holiday, so the following Sunday I was led by bluebells to Osterley Park. Incredible explosions of blue carpeted the woodland floor and trailed alongside gnarled roots of ancient oaks. Breathtaking carpet of blue within the woods at Osterley Park. 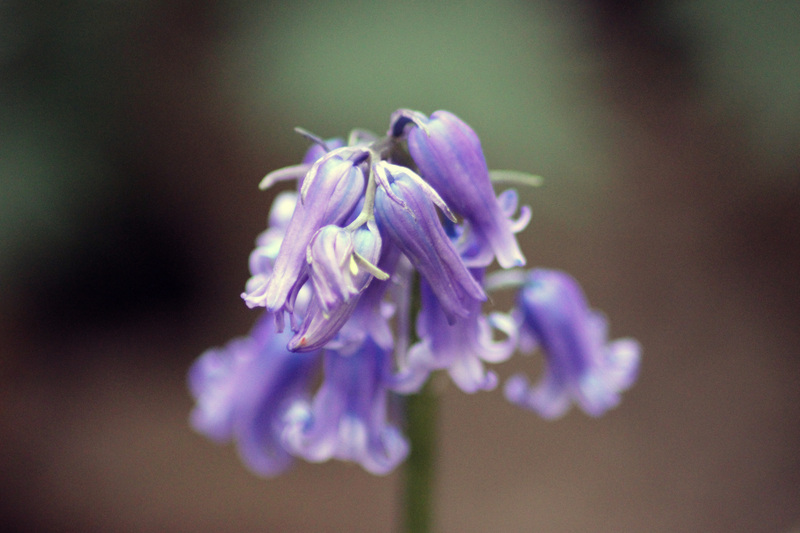 … and mortals who wander into bluebell rings fall under fairy enchantment. ‘Don’t stray too far off the path,’ warned Ben, the park warden. ‘Folklore says that mortals who wander into bluebells rings will fall asleep and wake in a hundred years!’ Our charming and knowledgeable guide wove fact and folklore as we wandered through Osterley’s enchanted woods. 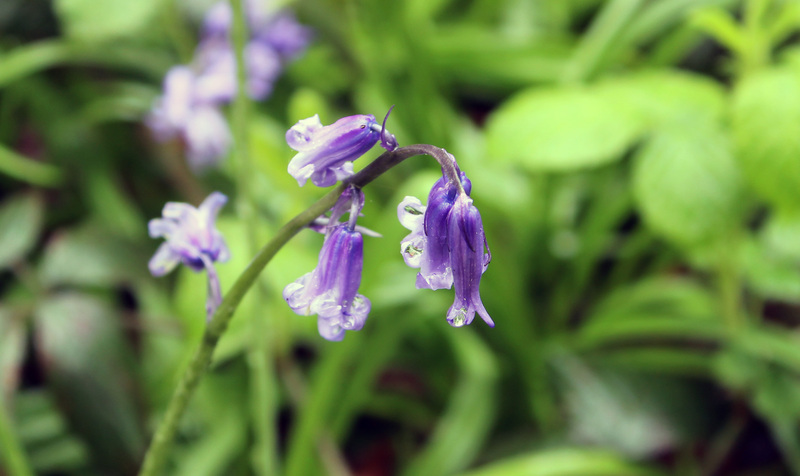 ‘Bluebells were too poisonous to use in medicine, but their starchy roots were used to make glue,’ said Ben. 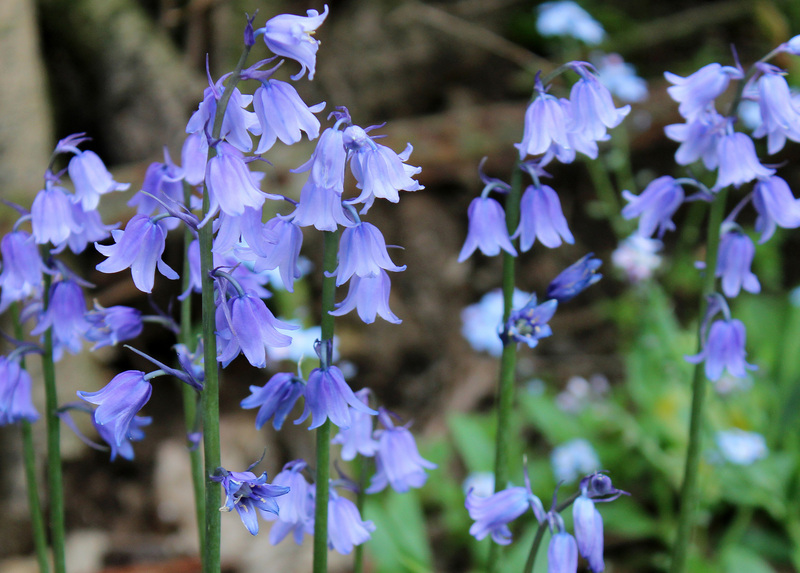 ‘The crushed bulbs provided starch for the ruffs of Elizabethan collars.’ We discovered that English bluebells are threatened by their own Spanish Armada – an invasion of Spanish bluebells that endanger our native species with hybridisation. They also suffer from being trampled underfoot by clumsy mortals, so we were careful to follow Ben’s advice and stick to the path. All parts of the plant are poisonous, but the sticky sap had many uses including sticking feathers to arrows and binding pages into the spines of books. Bluebell visited by small fly. Back at the apiary, bluebell displays are springing up in-between shade and light. I found a few flowers peeking at the sky and revealing their creamy yellow pollen. 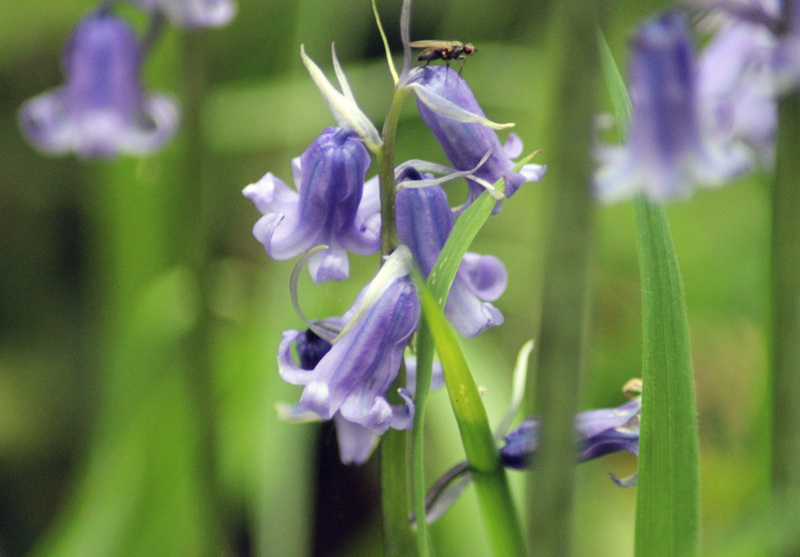 Bluebells are an important early source of food for bees who are rumoured to steal the nectar from the flowers. They bite a hole in the bottom of the bell and drink the nectar without pollinating the flower. 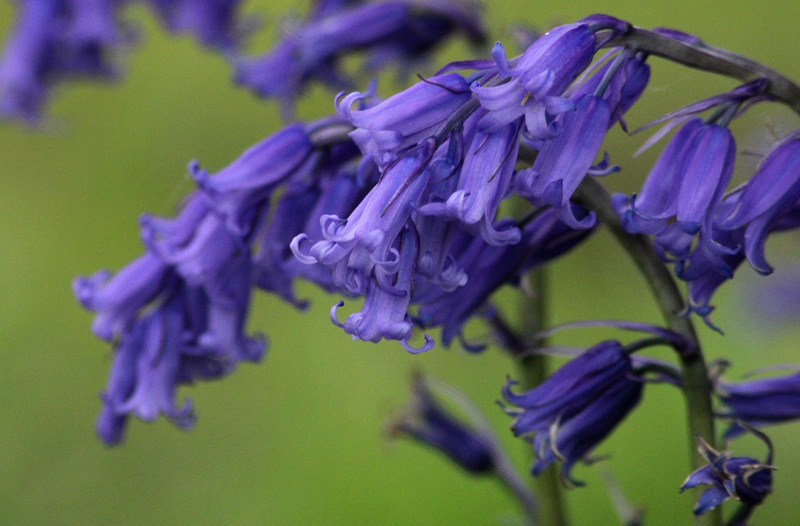 I hope our bees enjoy drinking sweet-scented English bluebells while the rain decides to stay. Bees steal the nectar from bluebells without pollinating the flower. Hopefully, our bees enjoy a stolen drink from bluebells in-between showers. 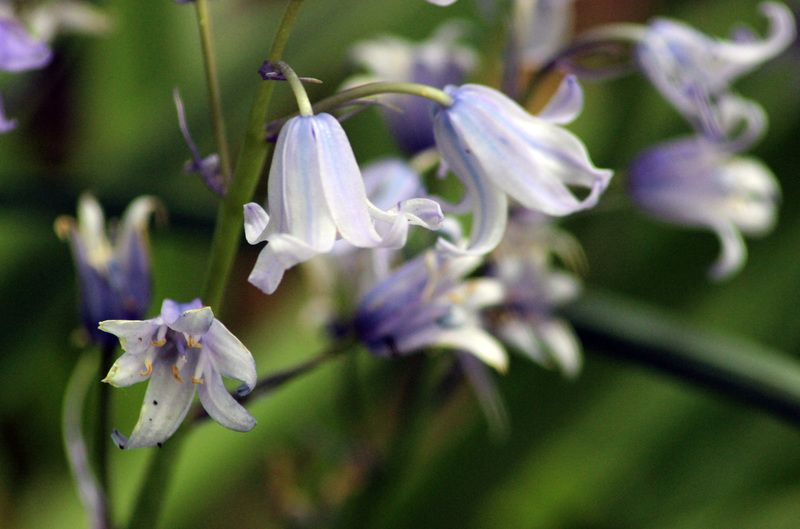 Nature likes to surprise us – ethereal white-and-blue bluebells at the apiary. This entry was posted in Myths and legends, Nature and tagged bees, bluebells, Osterley Park, Perivale Woods, rain, Selborne Society, spring by Emma Maund. Bookmark the permalink. Beautiful photographs. 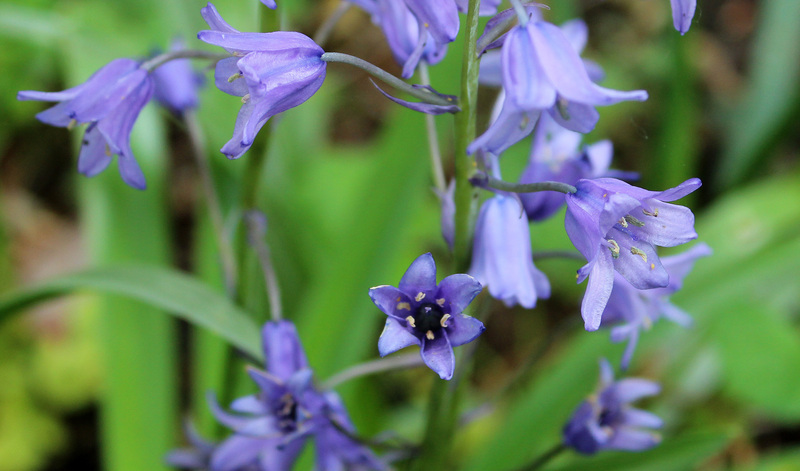 Bluebells really are fairy flowers. They look otherworldy, don’t they? The wet weather has made it tempting to stay inside, but as a child my mother and grandmother would never let us wimp out because of a little rain. So my wellies have seen a few adventures this spring 🙂 I am enjoying your merfolk fishy tales too! I’m glad you are enjoying the mermaids, they are quite funny aren’t they. As long as you are not on the wrong end of the oar that is! Thank you, it was an amazing sight to see so many bluebells. They remind me of my childhood. My grandmother used to have them in her gardens. Again, thank you for sharing your lovely photos and information. And Osterley Park is a great place to picnic and wander through gardens. A lovely informative post, beautiful pictures and a nice account of your day out in a magical place. Beautiful photos. I should have you ‘tour’ my garden and snap our patch of bluebells (along with the escapees putting down roots in odd places)! So the fairies are to blame for the rain! Maybe I can forgive them when the bluebells are this beautiful. Loving your new camera! These photos are just stunning! What a wonderful outing. Perfect for wellies. I love the story of them being fairies. Thanks for sharing. 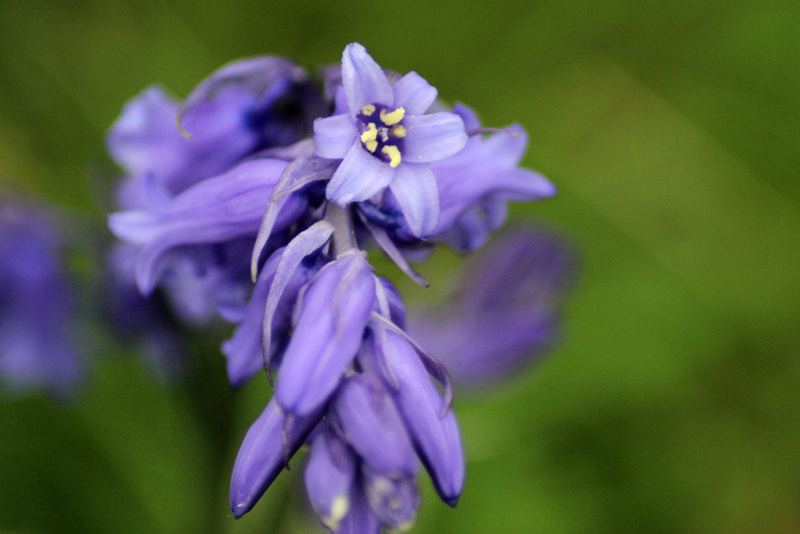 I am going today to the Colchester ancient woods to photograph bluebells. Lovely lovely photos! Thanks for sharing them! Hadn’t heard about not bringing in bluebells to the house. Having done so as a child I saw they didn’t look as good or last so luckily I haven’t challenged that for a while. Another flower that takes me back to my youth is the cowslip and its great to see they seem to be gaining ground again – several motorways in the Midlands sport great areas of them along their verges. So many people seem not to recognise them these days and they seemed so common 50 years ago. Lovely images. Perivale Wood was magical that day in spite of the rain. Very grateful for the blog link too. I hope so! You guys have a lot going on over there this summer! It would be nice to have good weather for it! England in June is a BEAUTIFUL thing, from the photos I’ve seen. Makes me “not want to get married” to Hugh Grant!